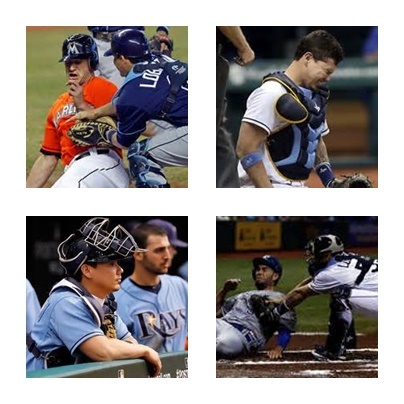 You never quite know what sensibilities are going to “play out” when the Tampa Bay Rays let photographers bring about their own illuminations on the team’s character, or is that characters. 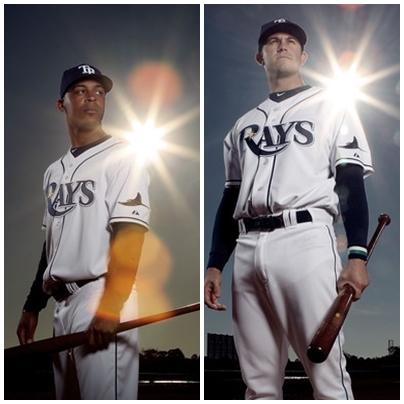 You only have to look back to the Feb. 25, 2010 Rays Photo Day shots where the photographer that day used the natural sunlight of Florida as sparkling and illumination points on the photos of that season squad. Sure they were embarking on a new strand of light called the post season that spring and the Sun made more than a few spectacular effects in a variety of photos from that spring’s squad. Then in 2013 it seems the Rays photos were a bit more subdued than usual with some playful spots of individuality, but the photos overall seemed to illustrate a unison or harmony among the troops. 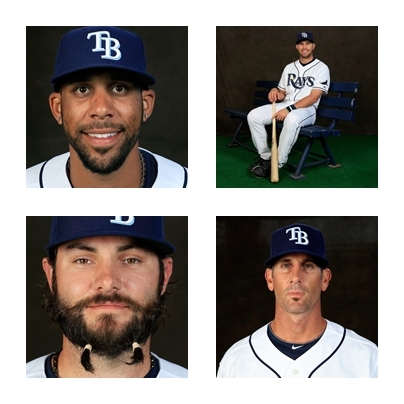 Of the 26 photos already released from the Rays 2014 Photo Day, there is again a underlying theme that clearly is visible and unique all to the Rays way of team chemistry. This spring photos show a calm, a essence of a more tranquil and centered squad of players who see that goal in the cross-hairs and calmly and professionally plan to be the team that “eats last” come November 2014. 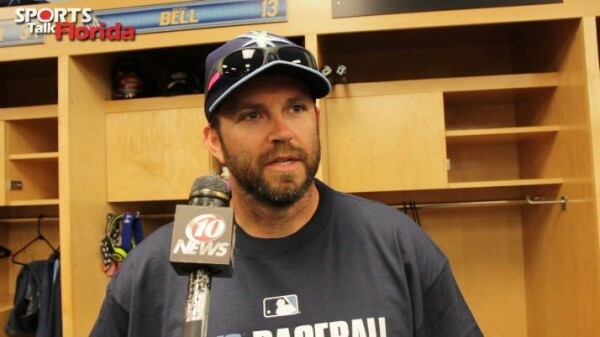 You see a more relaxed Papa Longoria with the Rays leadership crown solidly planted upon his head along with fellow Clubhouse General David Price presenting himself quite Zen-like in his photos awaiting the approaching Opening Day more with zeal than strife. But then you have the other side of the Rays coin also displayed in the type of Gasparilla-infused notions and action of Rays reliever Josh Lueke both in his biting of a baseball, to juggling and possibly showing that some fun must come with all the stress of competing and delivering your goal. I enjoy seeing the fight and fire as well as the comedic notions that make up a M L B team. Not everyone can be serious all of the time and sometimes that moment of tongue-in-cheek humor or even dawning a gladiator’s mask can deliver more energy and fight into a group than any Knute Rockne oratory. 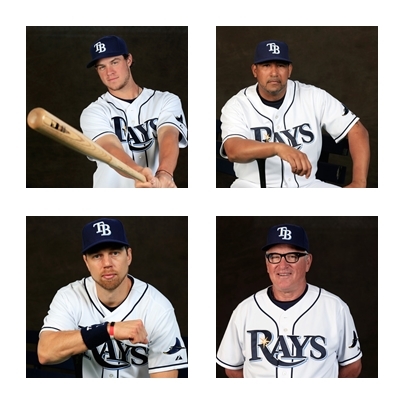 The Ying and Yang of this year’s released Photo Day shots also shows the ebb and flow that will ultimately exist within the Rays this year as leaders and jokers can come together tone their antics and abilities to the highest achievement levels and produce memories and events that we will speak about for years. 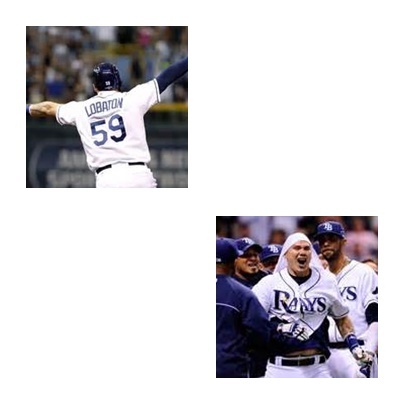 From the high points of Longoria who with a consistent effort in 2014 should ultimately by-pass and become the sole Rays all-time leaders in such categories as HR, RBI, Extra Base Hits, doubles and Slugging Percentage before the end of 2014 to Myers who will again be called on provide the same kind of energy, production and raw unharnessed spirit that saw him take home an American League Rookie of the Year trophy, this team will rise and fall on both the chill moments and chaotic scrambles that make up a 162-game campaign. Sure this is but only a 26 frame cross-section of the character and characters of that will become the heart and soul of the 2014 edition of the Rays, but if this is any indication of what we might have in store for us for a 162 game haul…..I’m ready to buckle in and take the rough with the fun for it’s almost time for the games to matter and I can’t wait for that last day in March………..But I don’t think Lueke will have to eat too many balls this year because this team looks and sounds hungry enough to push it to that last meal….and maybe have room for a champagne-infused dessert. All photos taken by Zimbio.com photographers. They do so many other M L B teams photos each spring. 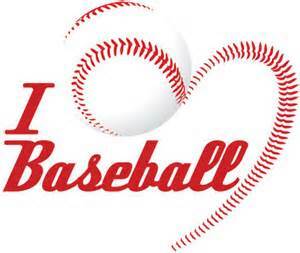 Search their website for your team’s spring photos. 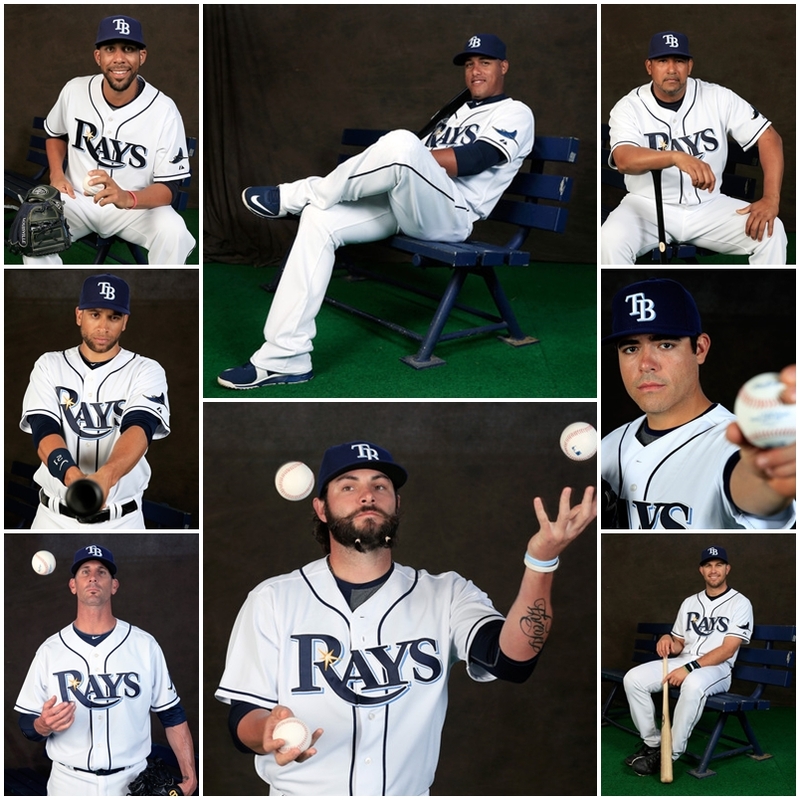 I do have a Facebook link with the latest 26 and any additional Rays Photo Day shots I find past the submitting of this blog post. 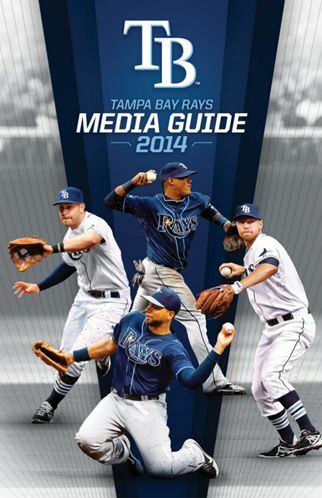 Tasty 2014 Rays Media Guide Tidbits: Rays Rotation. I swear every season when it arrives either in web file form or a hard copy I seem to give off a squeal of joy like a little kid on Christmas morning. 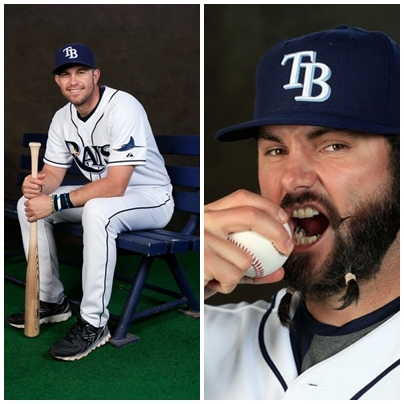 That’s right, the 2014 edition of the Tampa Bay Rays Media Guide is sitting in a file on my computer, and I just cannot wait to flip the pages and see what interesting and tasty morsels are hidden within its covers. 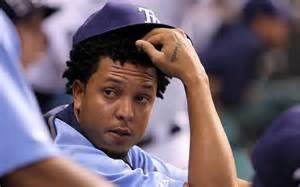 We all know it will have the historical pomp and circumstance of the Rays entire franchise’s history, be a wealth of information on records, oddities and a listing of everyone who has worn a certain number in the team’s history. Wildest part with every year the pages expand just like our history and I truly cannot wait until I have a hard copy in my paws so I can savvy it like a fine chocolate and divide its many layers up throughout the season with little morsels of trivia tidbits for my social media followers (@TheRaysRenegade). So without further fanfare, let’s get down to business and make each of us a little smarter or knowledgeable on our team’s players and non-roster invitees this spring. 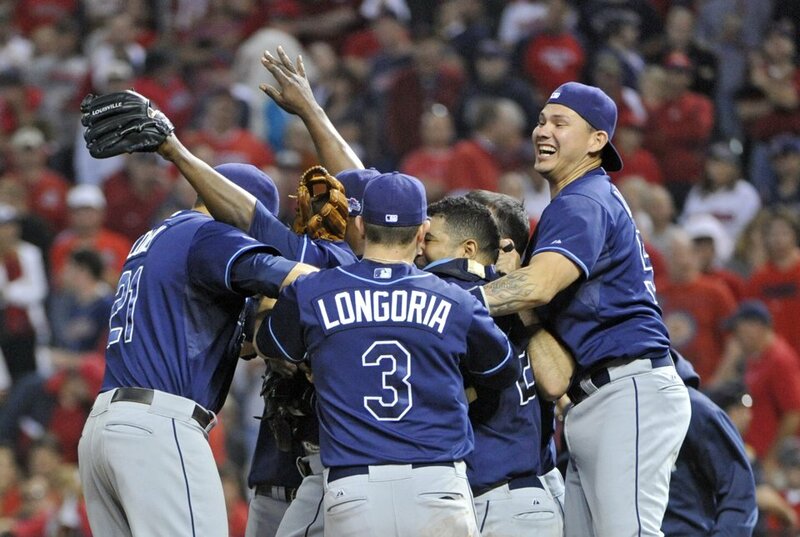 The Rays 13 Walk-off victories in 2013 tied the club record set in 2011 and 11 different players recorded a walk-off RBI, most in team history. Only 2 Rays had multiple walk-off hits last season: Jose Lobaton and Desmond Jennings, whose 2-out single on May 27th vs the Miami Marlins drove in Kelly Johnson for a 7-6 win. 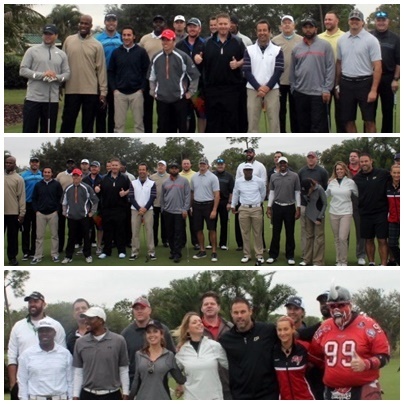 David Price: David’s foundation, Project One Four had its best fundraising effort in 2013 and raised over $130,000. 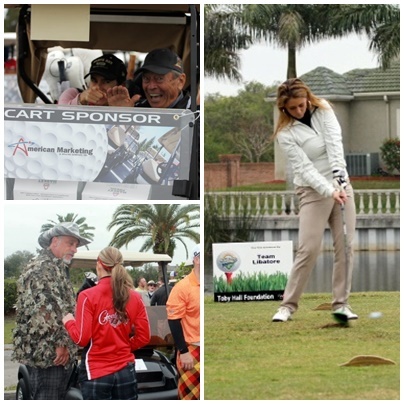 From its annual banquet, golf tournament and bowling events. On March 29th, in Tampa, Fl., Price will host his 3rd Annual Bowl for Kid’s Sake to benefit the Big Brothers, Big Sisters program. The event raised $27,000. In 2012 and $42,000 in 2013. 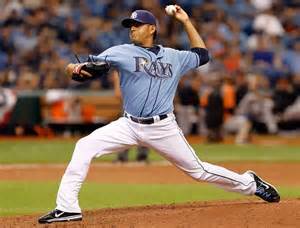 Price posted astronomical numbers to rank 1st in the M L B after his return from the DL by posting up 131.1 innings pitched with 4 complete games, 13.8 pitches per inning pitched and 0.89 BB/9 innings pitched. 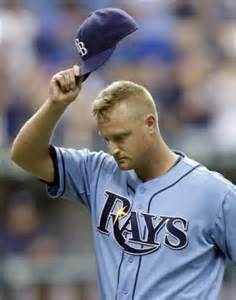 His 2.53 ERA and 9 wins also ranked 3rd in the A L.
Alex Cobb: Cobb is a huge supporter of our military fans and with good reason. His older brother R.J. is a commander in the 4th Brigade of the 101st Airborne Division of the U S Army and was awarded a Purple Heart after a Humvee explosion in Iraq, lodging shrapnel in his hands. His brother made a full recovery and served 16 months in Iraq and returned earlier this year after a short stint in Afghanistan. 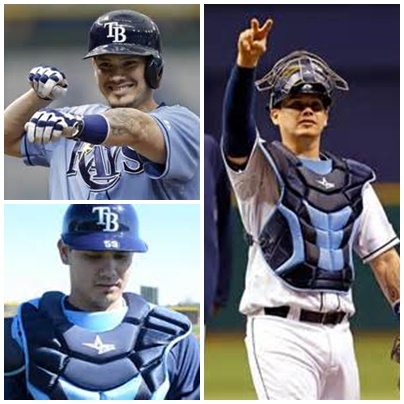 Matt Moore: Matt stayed very active this past offseason in New Mexico mixing in bike rides, hot yoga and doing hikes up to 4 hours to extend his energy threshold. 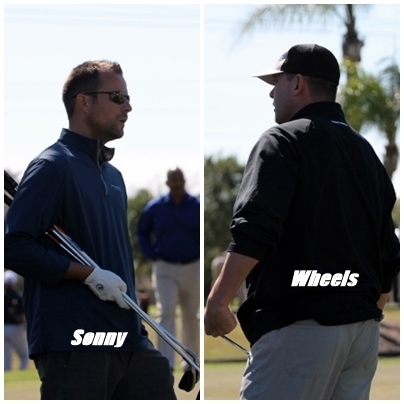 (I also know Matt swings a golf club right-handed and is pretty lethal with a putter). 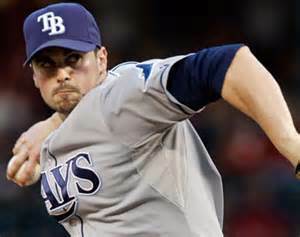 Last season Moore tied for third with the most victories in the American League (17) and had the 2nd highest winning percentage in the AL with a .810 mark due in great part to his stellar 17-4 record. Chris Archer: During the 2013 offseason in Clayton, NC, Archer was names Mr. Christmas and lit the lights of the city’s Christmas tree. At thanksgiving he handed out 100 Butterball turkeys to needy families. 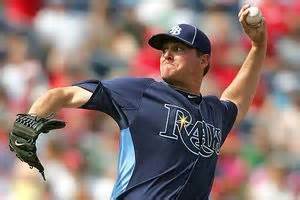 Despite not arriving in St. Petersburg until the Rays 55th contest, Archer led all rookie hurlers in ERA (3.22), Opponent’s Average (.226), complete games (2), shutouts (2), and WHIP (1.13). 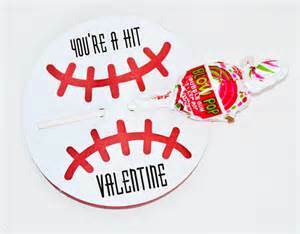 He was also 2nd in innings pitched (128.2) and 3rd in wins (9). 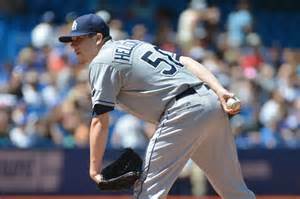 Even though Jeremy Hellickson will miss 6-8 weeks of the 2014 early season due to injury, he has to be included as a major cog in the Rays machine in 2014. Time will only tell how long it takes Hellickson to return after having arthroscopic surgery to remove loose bodies in his pitching elbow. Jeremy Hellickson: Hellboy has grown close to Des Moines, Iowa native Carson Cooper who is a 10 yr old who is fighting Acute Lymphoblastic Leukemia. Jeremy along with family friends helped form Kids Living Brave this offseason to help support kids and their families with care packages as they battle cancer. 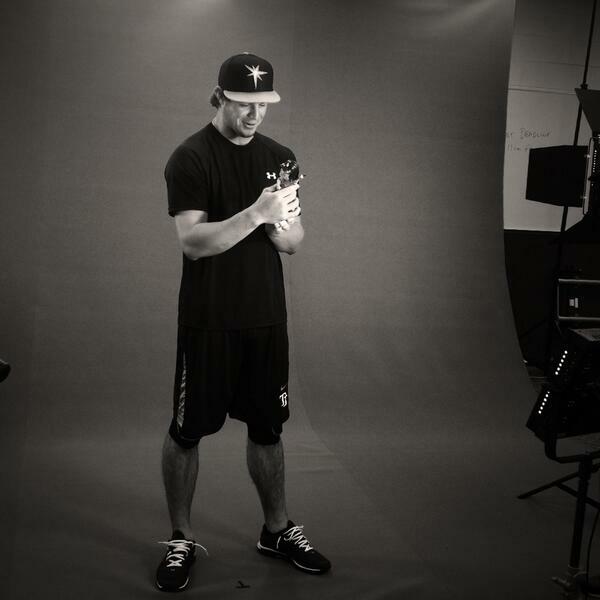 Hellickson put on 2 “Pitch Perfect” baseball clinics this winter as a fundraiser for the organization. In 2013, Hellickson was the only Rays to reach the 30 starts mark, but saw his ERA blossom to 5.17, the 3rd highest among major league qualifiers. 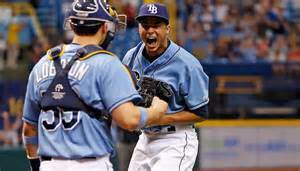 To put this mark fully into prospective, coming into the 2013 season Hellickson had the Rays lowest career ERA at 3.06. 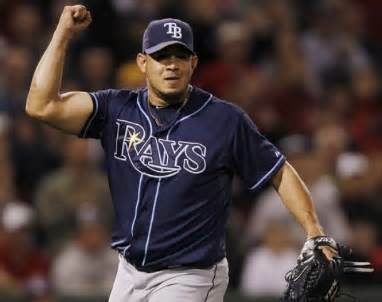 Jeremy was 1 of only 2 M L B pitchers to post over 10 wins (12) and have an ERA over 5.00. Alex Colome: Credits Triple-A Durham Bulls Pitching Coach Neil Allen for a significant change in his mechanics, making him more upright in his delivery. That was significant as Colome did not allow an earned run in his first 2 starts, the first pitcher to do that since San Francisco Giant pitcher Ryan Sadowski in 2009. Nathan Karns: Made his M L B debut on May 28th in an InterLeague contest against Baltimore versus an Orioles starter who was only making his 2nd career start. Karns went 4.1 innings allowing 3 runs in the Nationals 9-3 victory. Jake Odorrizo : During spring training in Arizona a few years ago while in the Kansas City system, Jake and his agent had a close call in the desert when they got lost for 2 hours on four-wheelers as the Sun was setting. They had no water with them and finally found their way home after finding a road. 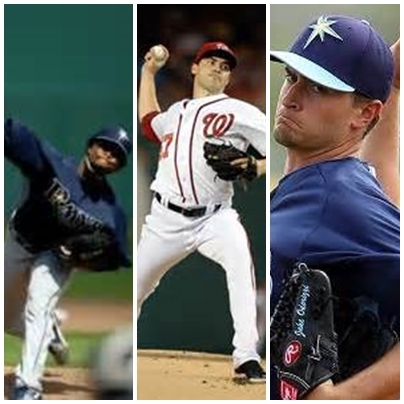 Next post, trivia bits on players who should comprise the Rays 2014 Bullpen corps. Today the Tampa Bay Rays announced the first 4 musical acts that will make up the 2014 Rays Concert Series schedule. As always each concert will be free with the purchase of a game ticket for that date, and the music will fill the tilted roof of the Trop after the conclusion of the game. As has been the tradition, Rays fans can also get a bit “up close and a little personal” with an additional charge for field access passes or wristbands that can be bought before the concert dates on raysbaseball.com/concerts for an additional fee . One of the early highlights to the Rays 2014 Concert series schedule has to be the announcement of LA-band Weezer invading Tropicana Field after the Saturday, June 7th game against the Seattle Mariners (4:10 First Pitch). Weezer, who has produced and released 9 studio albums over their tenure will definitely have a “Sweater brigade” section down on the Trop’s turf due to their epic tune, “Undone-The Sweater Song”. Not to be outdone, Weezer will also entertain the Rays faithful with their tunes “Island in the Sun”, Say it Ain’t So” and a crowd favorite “Beverly Hills”. Weezer has sold over 9 million copies worldwide since their inception in 1992. The band has delivered iconic music since their debut release, “The Blue Album” to their 2010 triumph “Hurley” which debuted at #6 on the Billboard 200 chart which gave the band an unheard of 6th straight Top 10 album in a row. But hold your horse, the Rays did not stop there also bringing in one of the best rhythm and Blues act to ever hit vinyl as the O’Jays will strut on the stage on Saturday, June 21st (4:10 First Pitch)after the Rays vs the Houston Astros matchup. The O’Jays have been dancing into the heart of music lovers for over 40 years and have achieved 10 Gold albums with 9 hitting the Platinum level and have produced 10 #1 hits from the classic “Backstabbers”, “I Love Music”, “Love Train” and the song most people associate with the TV series, “The Apprentice”….”For the Love of Money”. The group also received one of music highest honors being inducted into the Rock & Roll Hall of Fame in 2012. But the fun doesn’t all belong to the adults and tens this Summer, the Rays have also remembered their youngest supporters by bringing in two kid-eccentric musical groups that will definitely have more than a few fans hoping for a nap after their energetic sets and musical numbers. Within the foursome of groups announced today one group, The Wiggles will join Z Z Top, Train and 3 Doors Down as a returning Rays musical act asked to return to the Tropicana Field turf on Sunday, September 7th after the end of the Rays and Baltimore Orioles (1:40 First Pitch) afternoon contest. After being together for a remarkable 23 years together, The Wiggles, who have since their self-titled debut album in 1991. 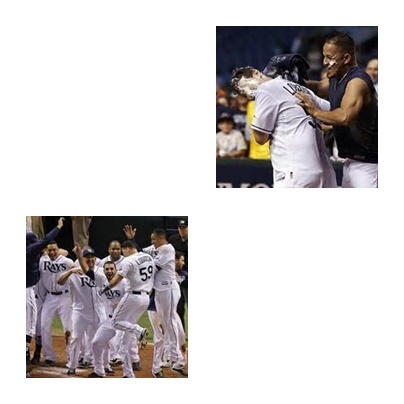 Different from their last visit to the Trop, the group realigned themselves in late 2012 and the former all-male line stepped aside and let another generation take over their kid-errfic fun production. 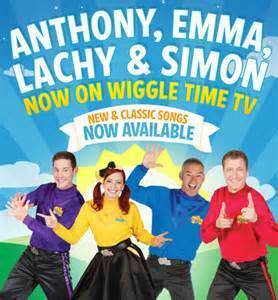 Now you will see Anthony, Lachy, Simon and Emma doing the groups classic numbers and even a few more designed for the ensemble. 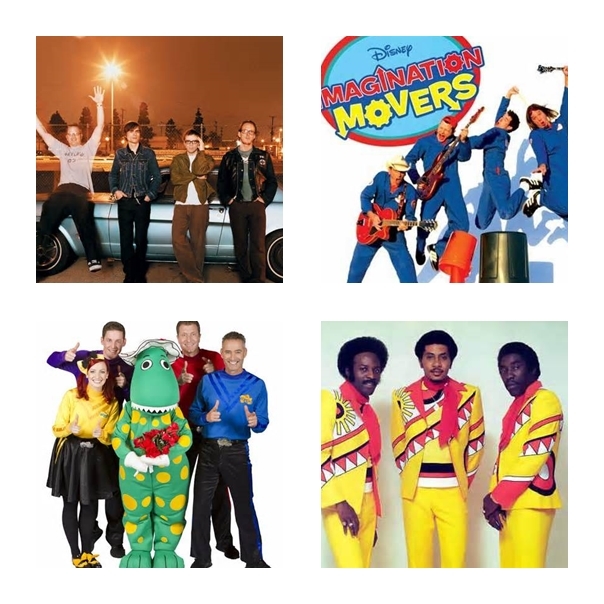 Amazingly, The Wiggles have performed over 6,000 show in their career and to put that into a wild perspective, the iconic band, The Rolling Stones have performed just over 1,000 shows in almost double the years as this energetic kid musical group. 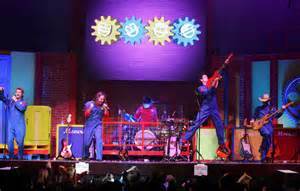 But before the Wiggles invade the Trop in September, kids and those kids at heart will get a visit by the Imagination Movers on another Sunday Family Fun Day concert event on July 27th after the Rays and Jays (1:40 First Pitch) concludes. The game will embrace the Rays quest to celebrate Christmas in July with the humorous and all too familiar songs from their great Disney Junior TVas well as holiday classics hoping to transform Tropicana Field into a winter wonderland…for 1 afternoon. 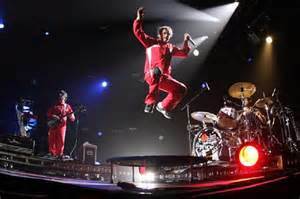 For more than a decade the foursome has tried to emulate the iconic up-tempo stylings of rock legends the Red Hot Chili Peppers as they sing about healthy snacks, beating those bedtime fears and the baseball classic moment of playing catch. Band member Scott Smith said of their performance energy, “ We hope everyone leaves needing a nap”. So we have the first 4 announced bans that will highlight an early release of the 2014 Rays Concert Series schedule with a few more to be announced at a later date. We can imagine 1 of those announcements will feature a 80’s band to coincide with the Rays August 2nd Saturday tussle with the Angels. All 4 band speak to different Ray’s Republic segments with some excited about Weezer, other wanting to see the legendary O’Jays and all kids young and young-at-heart eager to dance about to The Wiggles and Imagination Movers. This early announcement might not be a Home Run blast, but the team definitely produced a solid double with this foursome and possibly could score a run across Home Plate with another well placed band announcement in the future. I can’t wait. 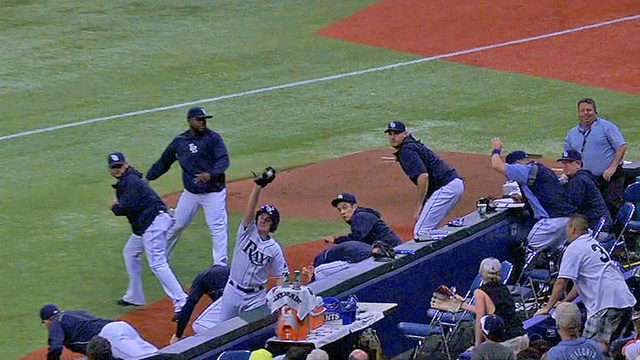 “No one did giveaways better than Tampa Bay (in 2013). Action figures! Garden gnomes! Utility belts! 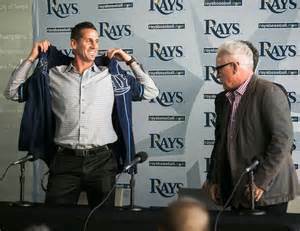 The Rays send fans home with more free goods than just about anyone.” That quote was taken from the “Franchise issue” of ESPN, The Magazine about the team’s 2013 Promotional schedule. Even more exciting is the pure fact that the just announced 2014 Promotional schedule of giveaways is already shaping up to be another step up the promotional ladder as the Rays bring back the popular Tampa Bay Times Tandem program which presents an opportunity for Rays fan to purchase a special Friday game ticket that will include an exclusive one of a kind limited edition keepsake. Ticket Tandem items of note to be given out in 2014 include an Alex Cobb Military Bobblehead (May 23 vs Boston Red Sox), a Don Zimmer Snowglobe (July 25 vs Red Sox), a Raymond Gnome (August 29 vs Red Sox) and a chance to get your own set of Joe Maddon Wine Glasses (August 1st vs Angels). And if you can’t make a Friday contest, the Rays will have 18 different giveaway opportunities on select Saturdays and Sundays throughout the Rays season. The Rays will start off quickly in the first week of the season by presenting a Wil Myers Rookie of the Year bobblehead on Saturday, April 5th when the team takes on the Texas Rangers in Tropicana Field. On Mother’s Day (May 11 vs Cleveland Indians) the first 10,000 women will receive a Rays Sun Hat and not to forget the Father’s Day, the Rays will offer an early gift to the first 10,000 Dad’s through the gates on June 8th when the team tackles the Seattle Mariners will receive a special James Loney Grill Set. Those over 14 will also get chances to gain a D J Kitty Plush Hat on May 10 when the Rays battle with the Indians), a Joe Maddon Mr. 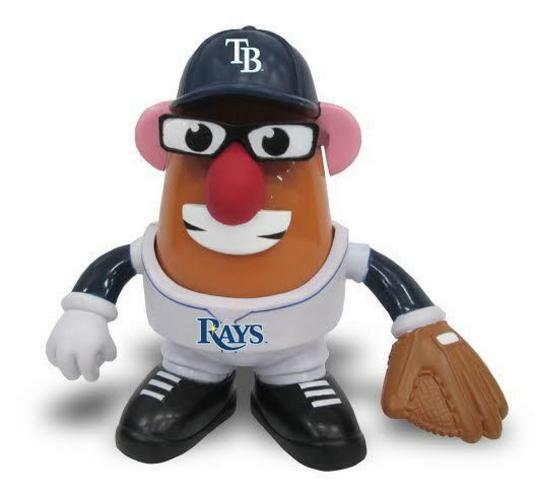 Potato Head figurine on August 2 when the Rays tussle with the Angels or an Evan Longoria 80’d Hair Band Drummer Bobblehead on September 6th when the team takes on the Baltimore Orioles. 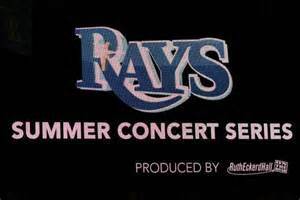 The September 6th date might also be a wink to an upcoming Rays Concert announcement as why have an 80’s item without an 80’s band (just my thinking). 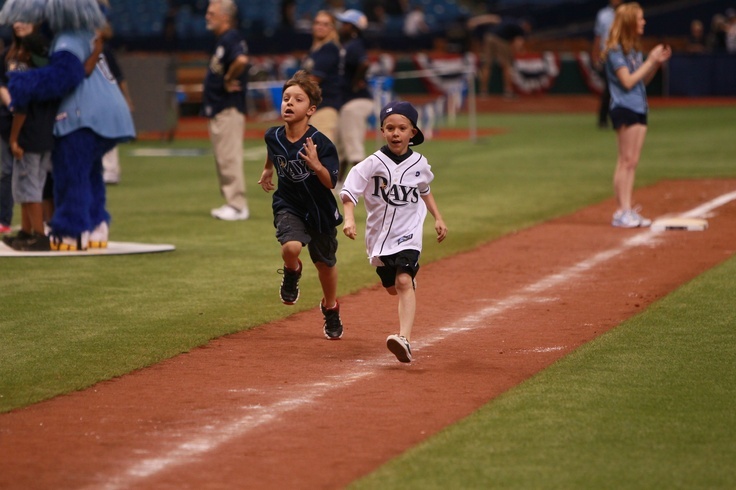 Kids 14 and under again get their own special keepsakes on special home game Sundays throughout the season as the Rays will offer a chance for the young Rays fanatics to get also get an early start on the promotional schedule as the team will offer a Desmond Jennings Baseball Buddy on April 6th when the Rays go toe-to-toe with the Rangers. Other Sunday items include a Ben Zobrist Wiffle Ball set on June 22 when the Rays continue their Inter-League bout with the Houston Astros, a Chris Archer Christmas Stocking on July 27th when the team takes on their rivals, the Red Sox, a Yunel Escobar Basketball Hoop will be given out on July 13th when the Rays battle the Toronto Blue Jays, and on August 31st during another Red Sox series, kids can get a Matt Moore Plate and Cup set. Sunday’s games will also continue to be Tampa Bay Times Family Fun Days in 2014 with free parking for cars with 4 or more passengers and a bunch of postgame activities for kids that will include the always popular Kids Run the Bases as well as a D J Kitty Dance Party featuring your favorite Kitty, mascots and other entertainers. For a second year, the concourse activities will be complimentary for the 14 and under guests. 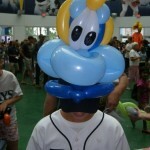 Activities include the Grand Slam Alley, Power Alley Batting Cages, Speed Pitch, Raymond’s Art Studio and Topps Make Your Own Baseball Card. The Rotunda and CenterField Street area will also feature on Sundays the always popular and busy face painters, glitter tattoo artists, magicians, mimes, stilt walkers, jugglers and balloon artists. 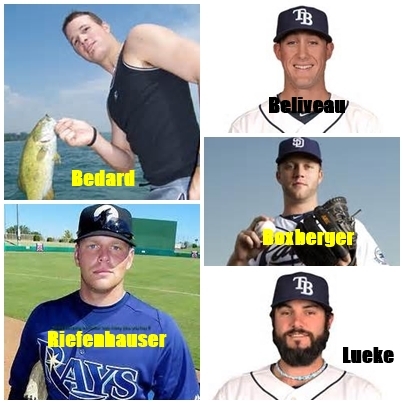 Interesting side note is a few of the Rays past promotional prevalent team members like pitchers David Price, Jeremy Hellickson or outfielder Matt Joyce not having any listed promotional items yet for 2014, you have to wonder if the Rays just did not want to put any eggs in their promotional basket that might not pan out due to a trade or an injury like the one suffered by Hellboy before Spring Training even began in 2014. It was a prudent move, but I hope somewhere along the line the teams finds way to keep these 3 important Rays in the promotional or fan participation loop as they are fan favorites even without an announced promotional item bearing their name or likeness this season. Even with the obvious omissions the Rays have connected again with a winning promotional schedule posting another sure fire “W” in the win column with their fans. 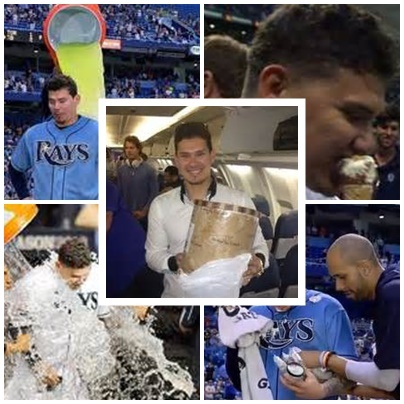 As has been the reputation of the Rays, the upcoming 2014 promotional schedule has something for everyone and should be another banner year for the Rays not only in terms of promotions, but on putting smiles on the faces of the Rays Republic. Hope to see you out there as I know I will be gathering more than a few of these items and putting them in my collection. 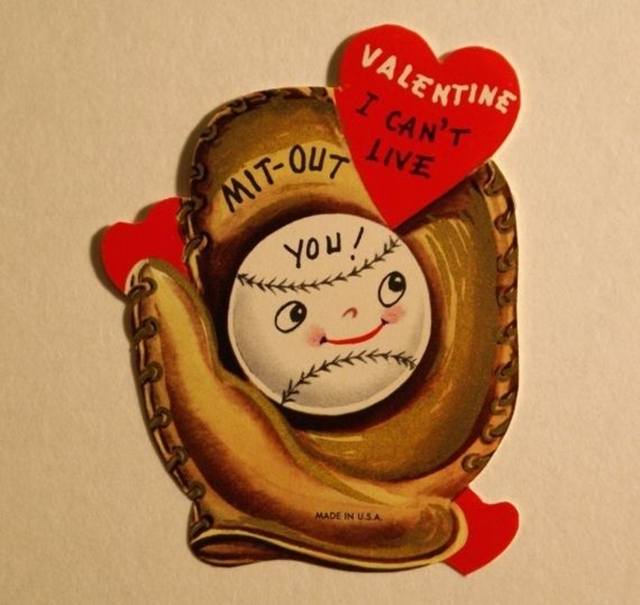 See you at the ballpark! 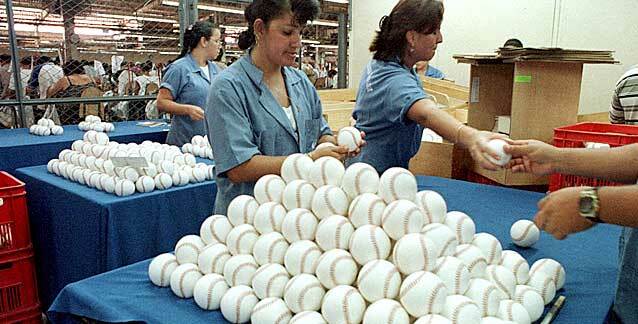 Major League Baseballs are Manufactured in America……….Central America. Every year about this time I can be found heading to a local big box store eager to buy a dozen Major League Baseball from Rawlings for the upcoming Tampa Bay Rays Spring Training schedule and Fan Fest. 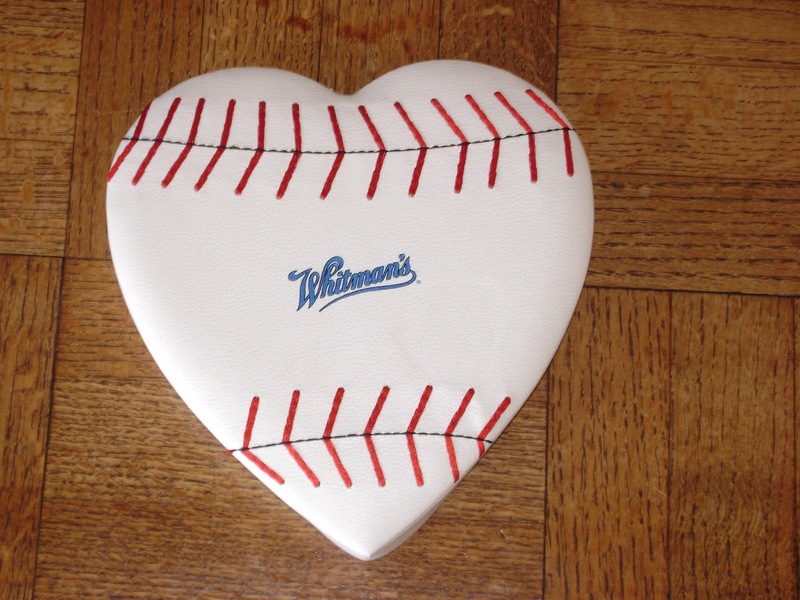 I always love how each baseball comes in it’s own precious cardboard container with tissue paper protecting its pearly white exterior in anticipation of me plucking it out of my bag for a player to sign and then add to my always expanding M L B autograph collection wall. Every year at this time I try and formulate a sketch of a battle plan to get the signatures I need to fulfill that season’s rostered player, or get a player I have wanted in my collection for some time. Instantly there are additional thoughts banding through my brain of who should sign these new pearls, where events I will ask these players, or should I just tuck them away for later use at another juncture in the season. The moment I do take these white spheres out of their first “home”, the smell of the ball with it’s pleasant leather aroma can send me into a avalanche of embracing baseball memories and fills me with a flood of emotions. 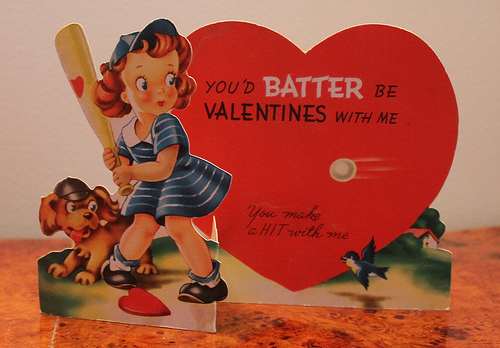 Recently I was floored and shocked to discover this icon of America’s favorite pastime has not been manufactured within our countries borders for some time. That’s right, the baseball we all chase and want to feel in the pit of our gloves or hands is no longer produced in the United State, or even in North America for that matter. 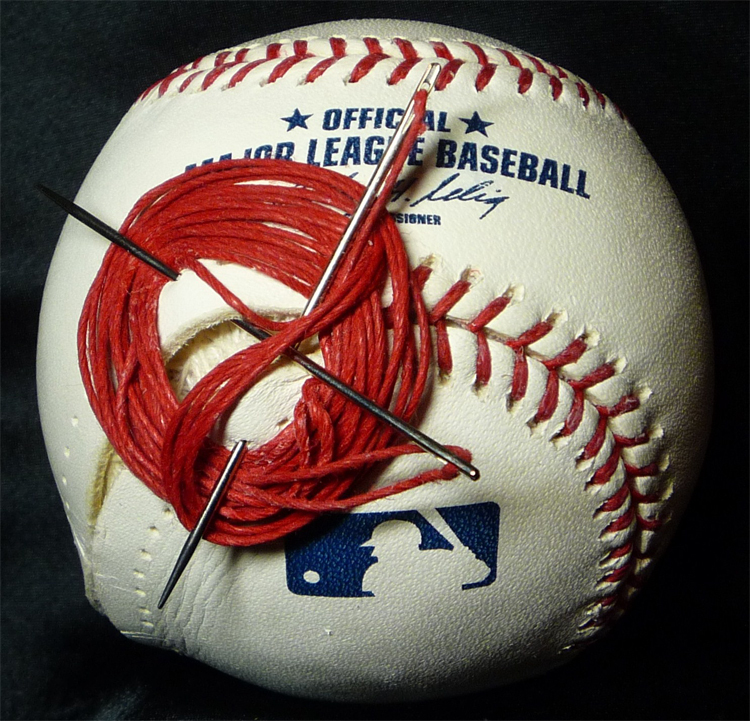 Since Rawlings became the official provider of baseball to Major League Baseball back in 1977, not one of the 108 stitches into that old cowhide has been sewn on U S soil. It shocked me that a company that is located within the baseball-frenzied mid-West region of St. Louis, Missouri would outsource such an American icon, plus not even produce it within our own hemisphere. Then again, Rawlings has been doing a bit of country-jumping since its inception in 1887. Most of us would not seemed shocked or amazed to find out Rawlings moved its baseball operations outside the continental United State back in 1969 to Puerto Rico. Even though Puerto Rico is a American unincorporated territory, most imagine it as our future 51st state. But how the baseball manufacturing exodus is only in its beginning phases of its journey. Rawlings then decided to move a bit more to the South with labor and supplies costing less in the then impoverished nation of Haiti in 1987. But the story doesn’t end here either. Finally the company decide to move their total baseball manufacturing machinery to cost-efficient nation of Costa Rica after the Haitian political climate became increasingly volatile and the company feared its operations could be compromised by the unrest. Rawlings set up their production facility in the small town of Turrialba in which the baseball manufacturer built a 80,000 square foot facility that employs over 700 local workers in the early years of production. This factory initially produced a staggering total of 50,000 baseballs a week, with each employee producing up to 30 balls a day with the balls’ journey from raw cowhide material to being shipped to a M L B ballpark in as little as 21 days. 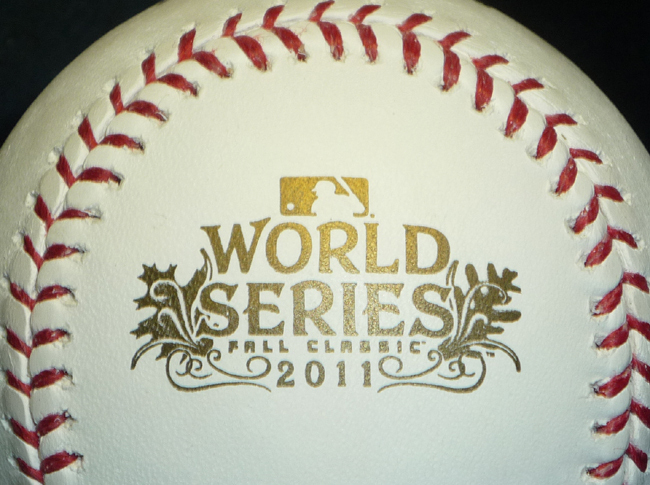 All told, the production of Rawlings baseballs brought a $21 million dollar windfall for the Costa Rican economy. This developing country nestled between the Pacific Ocean and the Caribbean Sea is the locale Rawlings has been sending their cowhide, twine and hard cores to be made into the American icon. It is still shocking to me that the one item we all want to possess in our gloves, or have our favorite player sign for display on our shelves and mantels in manufactured so far away from the sounds and actions of the game. Suddenly that smell mesmerizing my senses from my new pearly white baseballs is taking on a distinctively different scent. 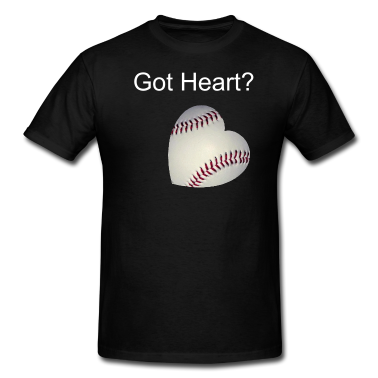 At least the baseballs we see being used during the M L B season does come from an “America”,………. Central America. 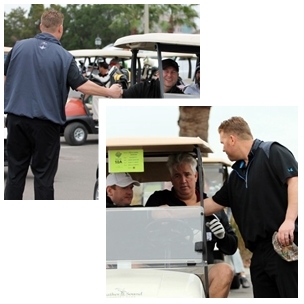 Sure the weather might have been a bit unpleasant, but not a single soul seemed beaten by the weather as all who assembled for the 7th edition of the Toby Hall & Friends Celebrity Spring Training Golf Classic knew first and foremost the day’s real winners were the Miracle League and the Buddy Baseball organizations within the Tampa Bay community. It wasn’t the same old, same old during the annual Toby Hall event held this year on February 7th, it was one of those days where the weather prognosticators were off by a chilly 12 degrees and unexpected bouts of misty precipitation that never seemed to dampen any of the assembled golfer’s moods. 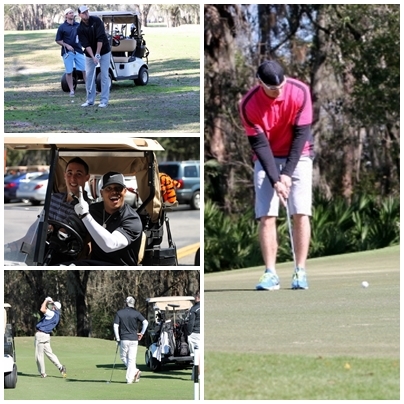 Every foursome I witnessed this day whether with winter clothing or shorts and windbreakers seemed no worse for the wear and anxious to play the 18 holes at the new vista, the Feather Sound Country Club. 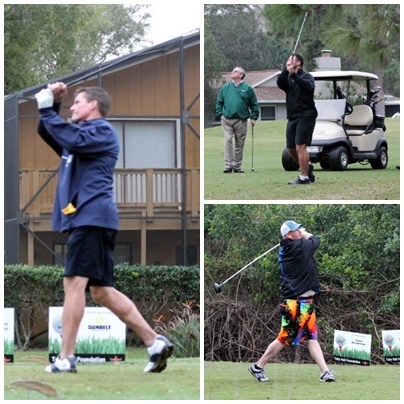 I was talking to Tampa Bay Rays Hitting Coach Derek Shelton who told me early tournament arrival Rays Pitching Coach Jim Hickey told him of the cold and possibly damp prediction of the day, but each showed up in Rays sweats and shorts smacking tee shots and drives into the mist towards each hold adorned with the Toby Hall black and red tournament flags. 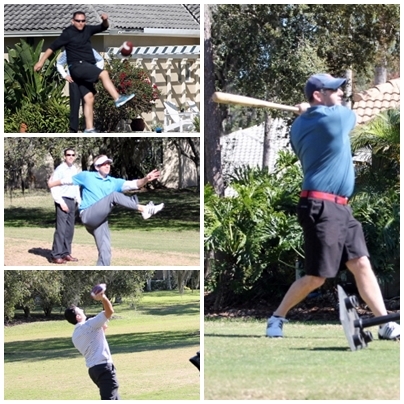 Some did bundle up like former Ray Fred McGriff, but other like the Bucs Big Nasty, Mike Alstott and Rays pitcher Matt Moore braved the day with a little less covering but warmed by the true essence of the day which was to show support for the Miracle League and Buddies Baseball. 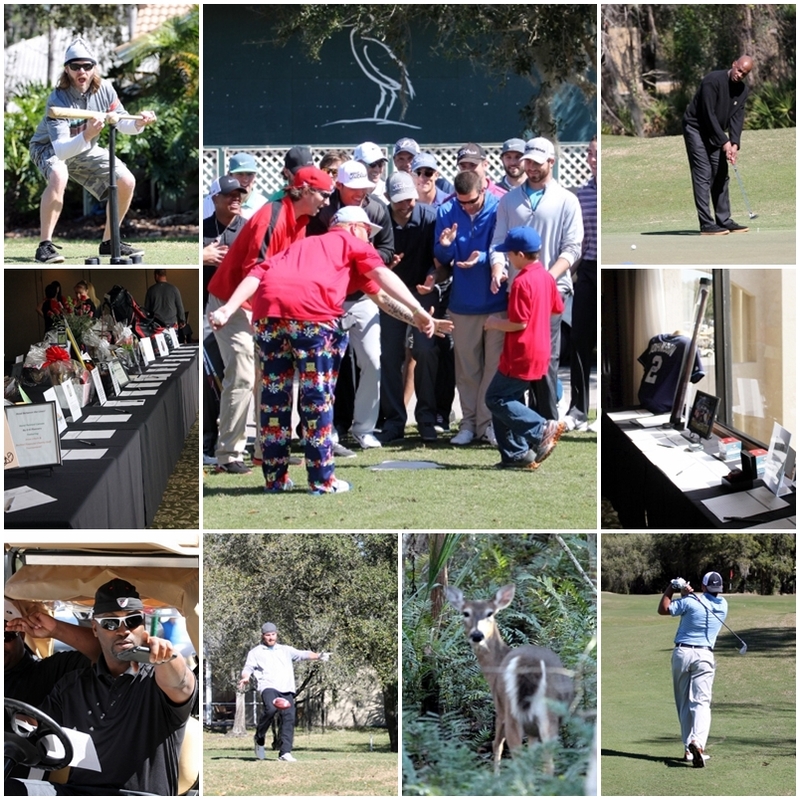 Everyone got into the early spirit as the Rays official DJ, DJ Fresh warmed everyone up with music and Arby’s once again provided a hearty lunch and sweet treat for the assembled golfers. No matter where you went on the front or back 9 holes of this remarkable golf course you could hear the laughing and stories being by celebrities and members of their golfing foursomes and it carried throughout the air. From the Long Drive hole where you almost could forecast a sonic boom from some of the great sounds coming off these custom-made drivers to the Closest-to-the-Pin competition or Straightest Drive competition was in the air, but charity always scored double-eagles. Even got to see another side of Bay New 9 anchor Jen Hollaway and that strapping young lad, the Rays Todd Kalas. Some might say I’m waxing a bit too poetically with this, but truly I did not hear a single gruff or grumble all day long. From the first moment of registration to the final raffle and award given out at the post-tournament dinner at the Carillion Hilton, not a single person seemed weathered by the day events buy exhilarated by the day and gave even more of themselves in the Silent Auction. Sure both the participants and Hall may have yearned for sun-kissed dry day, but the assembled masses who participated in this edition of the tournament could only rave and smile when asked if they had a “good day”. Sure some people got a bit shilled and possibly wet, but nothing dampened the hope and spirit of the event and even a few new faces I talked with were already wondering about a 2015 date. That is the sign of a great tournament when just as people finish the days event they already want to plan for a return engagement. 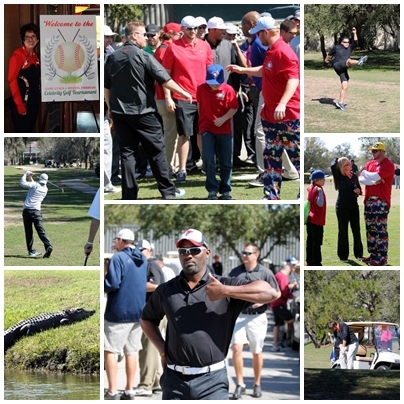 Once again Toby Hall and the Professional Golf Events team who provided not only a great 18 holes of golf, but possibly the weather also got these golfer more in tune with the true meaning of the day’s events and Hall’s charities reaped that emotion. 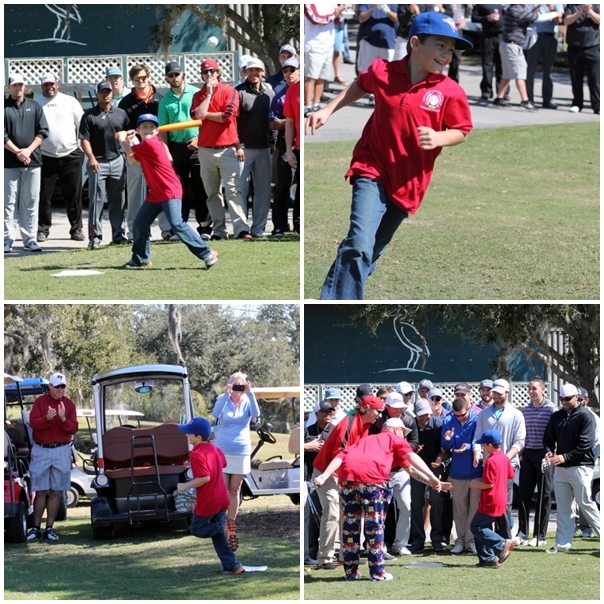 So I raise my glass once again to the organizers, Toby and all the golfers I met and chatted with this year…See you again next February when we all again assemble to help the Miracle League and Buddy Baseball achieve even greater moments. 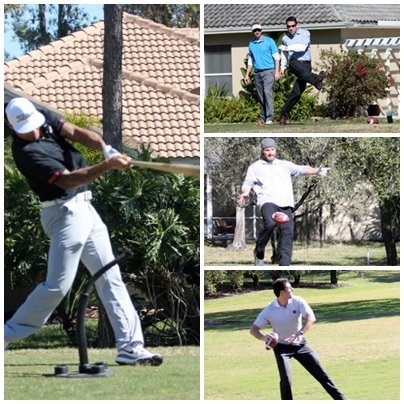 Additional Photos from the 2014 Toby Hall & Friends Celebrity Spring Training Golf Classic.